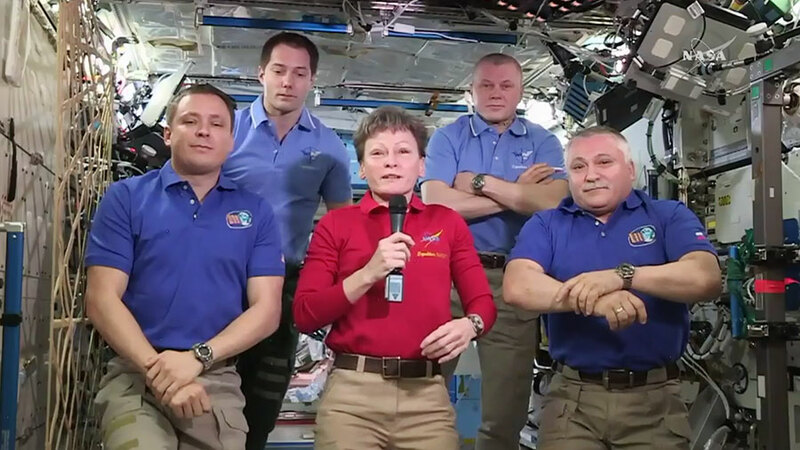 NASA astronaut Peggy Whitson handed over command of the International Space Station to Russian cosmonaut Fyodor Yurchikhin in a traditional Change of Command ceremony, which began at 11:50 a.m. EDT. Expedition 52 will officially begin under Yurchikhin’s command when the Soyuz spacecraft carrying Expedition 51 Flight Engineers Oleg Novitskiy of Roscosmos and Thomas Pesquet of ESA (European Space Agency) undocks from the space station early Friday morning. Their return will wrap up 196 days in space, since their launch on Nov. 17, 2016. For more information about the International Space Station, visit: http://www.nasa.gov/station. I wonder what it’s like to find the balance between being serious and floating. There are some substances on Earth that will allow you to experience the same sensation.